HPX holds 66% of Cordoba Minerals (TSX-V: CDB; OTCQX: CDBMF), a junior mineral exploration company developing the San Matias Copper-Gold Project in Colombia. 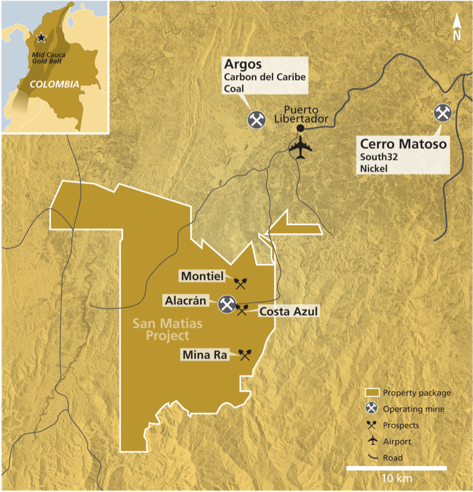 San Matias contains several known areas of copper-gold mineralization and is ideally located in flat topography, near significant infrastructure, and large-scale, producing open-pit mines. 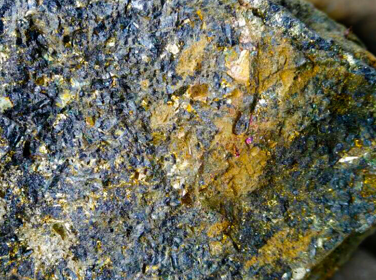 Initial Typhoon surveys and drilling over a small portion of the San Matias property has defined high-grade copper-gold mineraliz ation at the Alacran, Montiel and Costa Azul targets. With strong community support, Cordoba and HPX are drilling at the San Matias Project to expand the size and scope of mineralization at Alacran, as well as test other high-priority targets at San Matias that have previously yielded large widths of high-grade copper-gold mineralization. Initial inferred resources at Alacran are 53.5 million tonnes of 0.70% copper and 0.37 grams per tonne gold. Spectacular visible gold mineralization has been located in a major fault zone at the Alacran Deposit (0.9 metres @ 4,440 grams per tonne gold, 10.25% copper, 25.7% zinc, 347 grams per tonne silver).